This is a guest post courtesy of Olfa...As you approach the time to plan your child’s first birthday party, you will be excited, a wee bit sad but perhaps also overwhelmed. Planning a party for a baby or toddler can be very difficult when it comes to fun activities to do that other kids will enjoy. 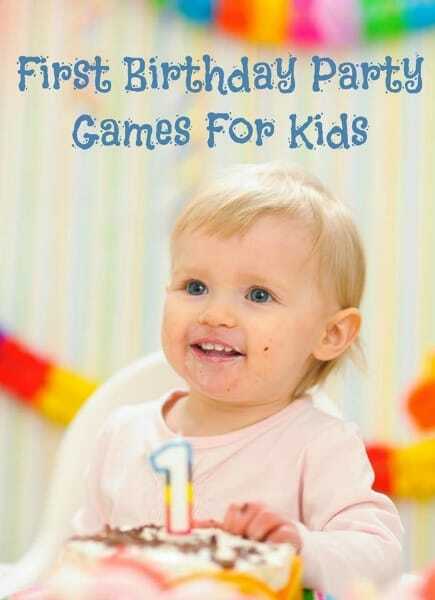 While you may have kids of all ages in attendance, you want to focus on these first birthday party games for kids that are great for even the youngest of party goers. Grab some supplies, have fun and remember this is a celebration of the first year of life for your child. Ring Toss: Babies and toddlers love playing with the classic stacking rings game. Why not elevate that to a fun ring toss game. Make large rings out of paper or paper coated wire and create a simple cardboard or wooden stakes for them to be tossed over. This is fun and simple for any age. Bubble Station: Everyone loves bubbles. Invest in large quantities of bubble mix and a few of the larger wands and let kids wander around making bubbles. Finger Paints: Print out some fun birthday themed pictures and set up a station with smocks and finger paints. Not only do kids love getting their hands dirty on purpose, but you’ll have some great memories to send home with kids. Ball Pit: Set up a large plastic swimming pool with plastic balls to create a makeshift fun and easy ball pit for little ones to play in. Sprinklers: If the party is in the warmer months setup sprinklers in your backyard and tell the parents to bring swim gear. Safer than a swim party for younger kids, but tons of fun. Photo Booth: Grab fun silly hats, scarves and of course wigs or various props to create silly and fun photos with the birthday child. Dressing up the kids is always fun and this creates great memories for everyone attending. Use your home photo printer or grab a Polaroid camera for this project. Fish Tank: Grab toy fishing poles and create a fish tank for kids to fish prizes from. This can be done in an old plastic swimming pool, a large tub or a traditional fish tank. No matter what first birthday party games for kids you choose, remember that the focus should always be on celebrating your child. The first year is so full of fun and adventure. Don’t let the little details of the birthday party take away from the wonder of watching your baby grow up before your eyes. About the Author: Olfa is the founder of MyKidsGuide.com where she loves sharing party games for kids as well as easy crafts. Still deciding on a party theme? 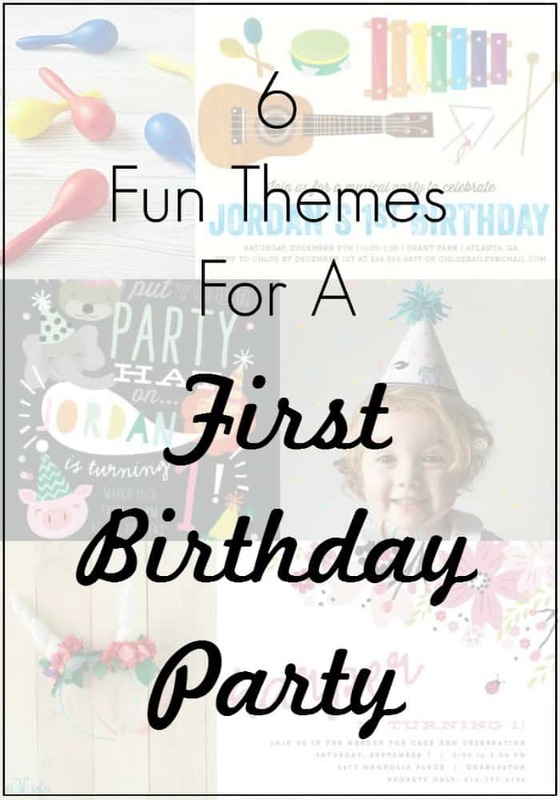 Check out these 6 adorable & fun themes for a first birthday party!